I just said this in another thread, but I do not like the delica, but love the wharncliffe (PE/SE) versions. How is the SE salt version compared to the VG-10 considering it is not FFG? The SE wharncliffe will by my first Endura. Looking forward to the extra length. Topic: Which SE to get as a first SE? Re: Which SE to get as a first SE? I am not a fan of the delica. However, despite that, the SE wharncliffe version is just so useful. It is not my most carried knife, but it is probably my most used knife. I was been trying to patiently wait for a sprint or exclusive version of the Shaman. A CF version never occurred to me and, frankly, I do not think it is the right choice. give me the micarta! As good as the caly 3 feels, the 3.5 just feels better (as least in my hands). Just received my Kapara recently. The compression lock on this thing is much harder to depress than I have experienced on any other knife. Has anyone else found this to be the case? My SE delica wharncliffe is probably my most used knifed, although, not most carried. 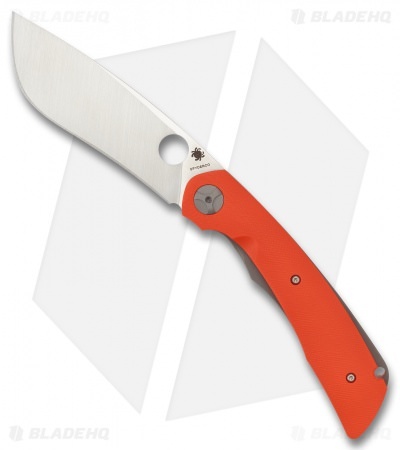 I have never been a fan of the delica handle but love the wharncliffe blade on it. it is a goal of mine to cut back on spending, will be very hard to not want all of the variations. well, given that this would come from Japan, and they seem to always clad hap40 there, it seems unlikely, unfortunately. Basically anytime I am working outside I have my Bradford Guardian 3 wharncliffe on my belt. great little knife. Mine arrived yesterday, and my first impression is that this is ultimate expression of both the Native and SALT series. Topic: Which will be a more durable edge- serrated H1, or serrated Lc200n? Re: Which will be a more durable edge- serrated H1, or serrated Lc200n? So, we have established there are and have been serrated lc200n options available. Now, it's time to put them to the test! I am all about serrated edges these days. Would love to hear how serrated LC200n holds up so I can go ahead and get the native salt. Topic: The Native 5 Salt and Why It's So Awesome. Re: The Native 5 Salt and Why It's So Awesome. Haven't been on the forum recently, but this knife made me check in. How is the lc200n in serrated? My only experience is with the SpydieChef. mostly spyderco, but my bradford guardian 3 wharnie and boos blades smoke get a lot of carry time and use. Topic: Spyderco Sprints: Are they a valuable investment or not ? Re: Spyderco Sprints: Are they a valuable investment or not ? Topic: What's your favorite big-big Spyderco? Re: What's your favorite big-big Spyderco? I think it will be this!